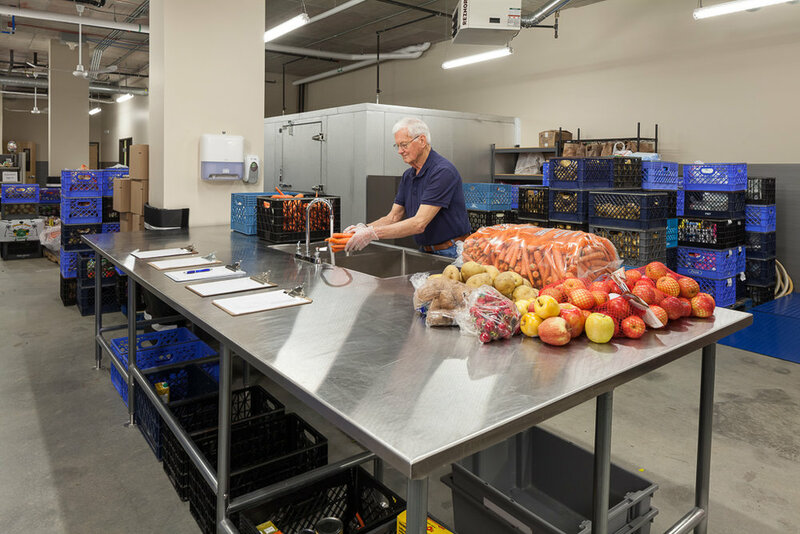 Serving the Community: Ronald United Methodist Church, Hopelink, and Compass Housing Alliance formed an innovative partnership with an aim to provide services for people on the brink of homelessness. Ronald UMC sold approximately 1/3 of their land to Compass and is using the proceeds to renovate their church and provide expanded mission based community services. 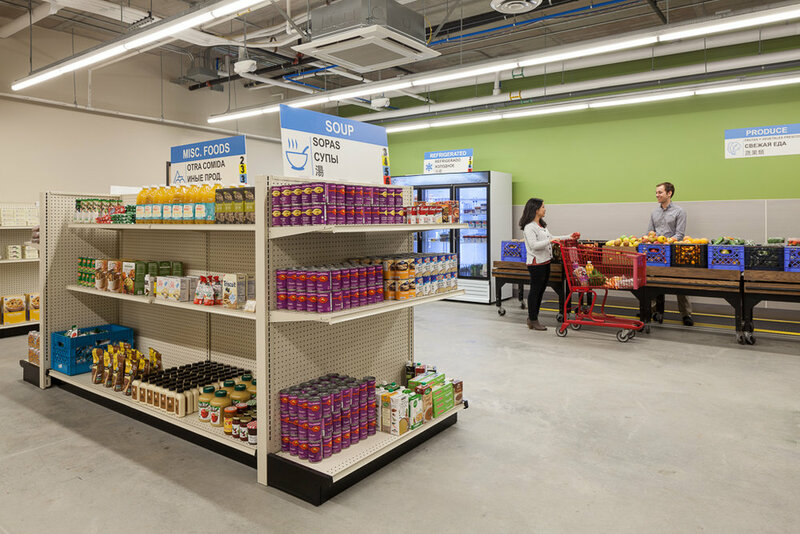 Unique Features: The Hopelink food bank grocery is an innovative new model of food delivery using a grocery store model, enabling food bank clients to be served with dignity. 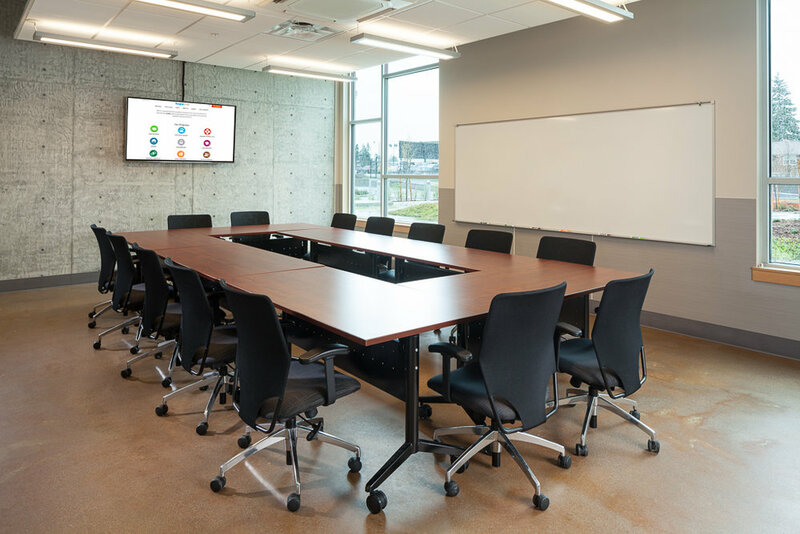 Scope of Work: Compass provides community gathering areas, open space and 62 units of 1, 2 & 3 bedroom family and singles housing serving 30-50% of area median income wage earners. This project provides much needed transitional and work-force housing to the Shoreline community. 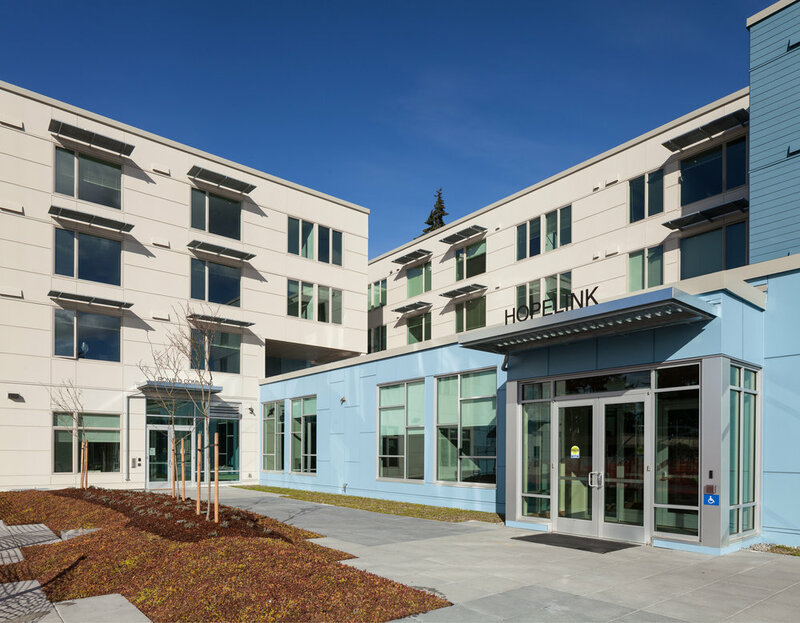 Hopelink provides client and emergency services to the Shoreline community and residents of the on-site housing.